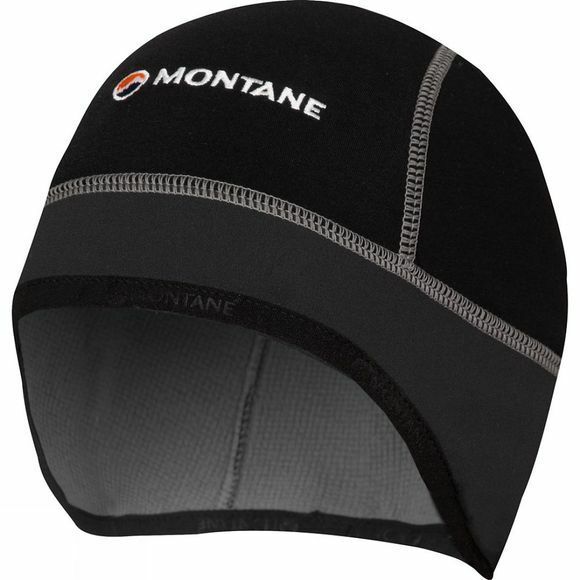 The lightweight Montane Windjammer Helmet Liner is designed to work harmoniously with a technical climbing helmet. Its low profile, close fitting stretch fleece shell provides warmth and comfort for a snug fit under a helmet. The integrated Gore Windstopper headband creates a windproof barrier where it is needed most.